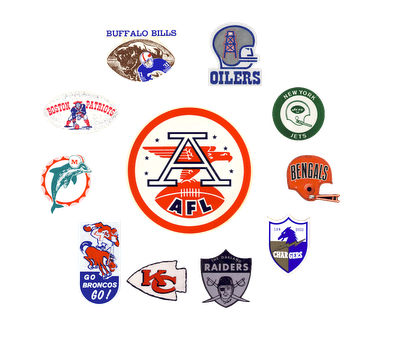 The first AFL Super Bowl representative was the 1966 Chiefs, by virtue of a 31-7 burial of MY Buffalo Bills who were trying to 3-peat in the AFL. With a little bit of luck the Cowboys would best the Packers and the Chiefs could play the Cowboys in Super Bowl I…..uh, sorry Green Bay wasn’t having it besting the Cowboys 34-27 in the NFL Title game. Then those Packers went on to beat Kansas City in Super Bowl I 35-10. So why am I talkin’ about Dallas?? Would you believe there is a history? During the 1960s, war raged between the NFL and AFL, these two principles from Dallas who both lived there crossed paths several times and were architects, in clandestine, about a possible merger between the two leagues. 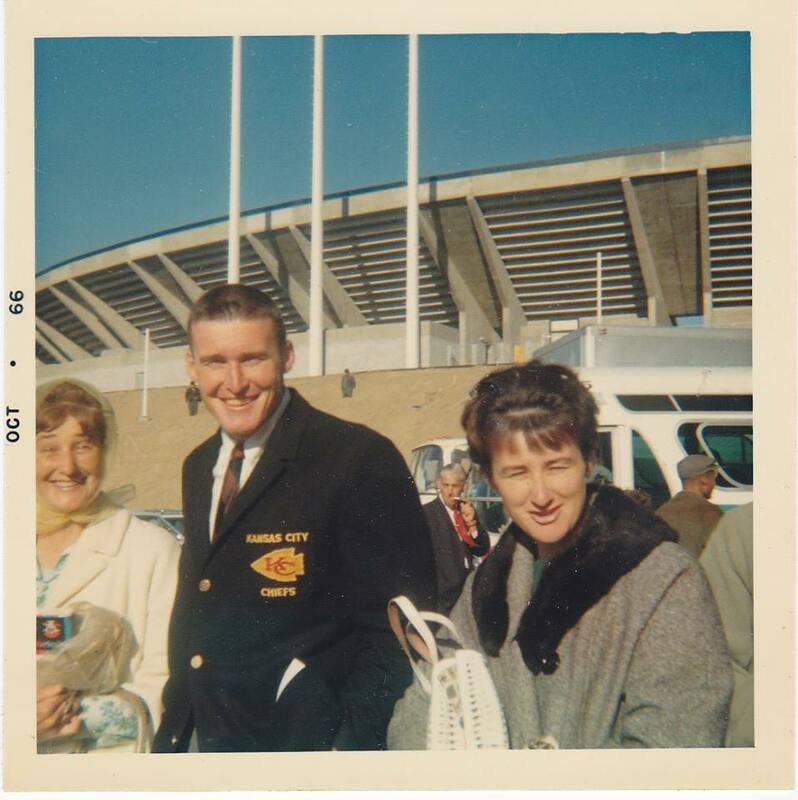 They even met once at Love Field in Dallas under the Texas Ranger statue to talk about it right before Hunt boarded a plane for Houston to meet with Bud Adams and other AFL owners to vote Al Davis AFL Commissioner where the war for players escalated 10 fold. This act and subsequent talent drain included signing players from the other league (free agency LOL) that finally brought each side to the table. At the meeting to announce the merger did you notice that Tex Schramm (Cowboys) and Lamar Hunt (Chiefs) flanked NFL Commissioner Pete Rozelle at that conference? 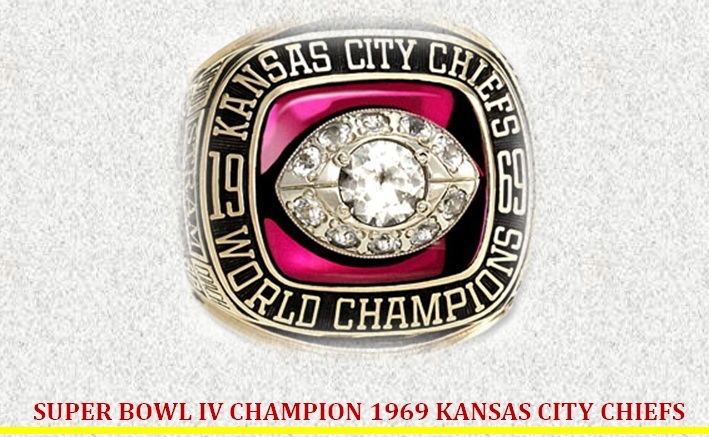 So it would have been something had the Chiefs faced the Dallas Cowboys in Super Bowl I. Uh, but you see there was this team from Green Bay and…Uh…well, LOL let’s just say they weren’t going to be denied. 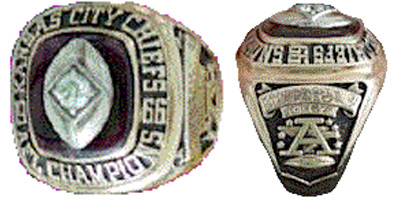 So with that, this ring is for the AFL Champion Kansas City Chiefs formerly known as the Dallas Texans for reaching Super Bowl I.
EPILOGUE: About that Minnesota thing… The AFL was originally going to have a franchise in Minnesota and in a move of espionage out of James Bond, cold war, double agent dealing, the NFL told the owners of that franchise to stay quiet and at the last minute award them an NFL franchise in 1960 to try to sink the new league. The AFL couldn’t operate with only 7 teams. Fitting that the last game in the history of the AFL, Super Bowl IV, Kansas City beat Minnesota 23-7 to offer some payback. What happened to the team that would have been in Minnesota you ask? They went west and became the Oakland Raiders, the Chiefs main rival. As irony would have it, they too bested Minnesota in a Super Bowl winning the 11th edition 32-14. 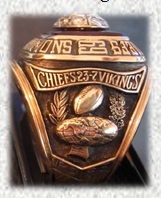 So when you think of the Vikings of the 70’s and their 4 Super Bowl losses, karma caught up to them for what happened in 1960… The fact that the Vikings first and last Super Bowl losses came courtesy of these two teams is more karma than ironic. Folks I can’t make this stuff up. The AFL: A True American Success Story. Re-air of an old story. R.I.P. Al Davis your contributions to pro football will never be forgotten.